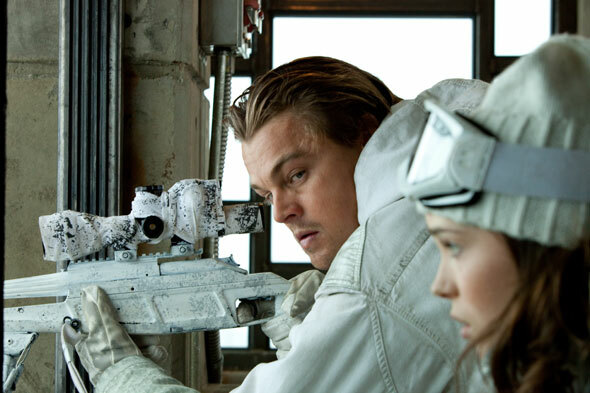 Dom Cobb (Leonardo Dicaprio) is the best at what he does. He's an "extractor", a professional thief who specializes in invading the subconscious of his targets and creating elaborate dream worlds that allow him to steal specific ideas from their minds. This is a very delicate and exacting process that is performed after the target is induced into a deep sleep. Cobb and his team venture deep into subconscious, often creating dreams within dreams as part of their ruse. 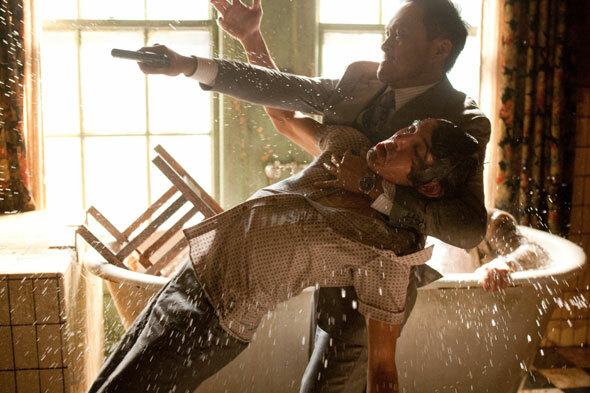 Cobb is recruited by businessman Saito (Ken Watanabe) to plant an idea (as opposed to stealing one) in the subconscious of Robert Fischer Jr. (Cillian Murphy). Cobb reluctantly takes the job after Saito promises to pull some strings that will allow him to return to U.S. soil and reunite with his estranged children. Cobb assembles a crack team of dream specialists. There is Arthur "the point man" (Joseph Gordon-Levitt), Eames "The Forger" (Tom Hardy), and Ariadne (Ellen Page) "The architect". Together they will embark on a perilous journey that probes deeper into the subconscious mind than any of them had previously thought possible. Along the way, they have to contend not only with the usual obstacles, but the Ghosts of Cobb's tortured past. 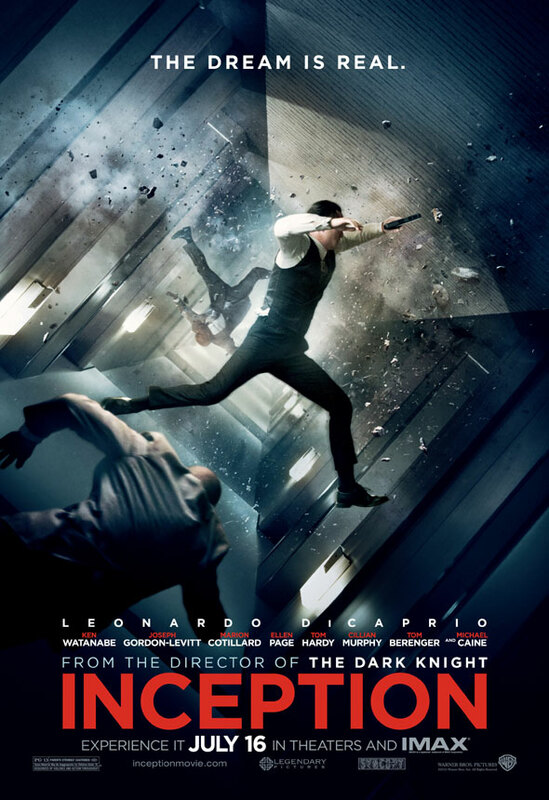 Inception is Christopher Nolan's first film since The Dark Knight, and his first attempt at crafting a blockbuster that is not a part of the Batman brand. It is the culmination of all the skills he has acquired over the years as a filmmaker. Inception is almost as difficult to follow as it is to describe. In that way it is very much like a dream. It lingers in the mind long after it's over, yet the viewer may find it difficult to articulate what they have seen. The film covers similar territory as The Matrix, Total Recall, and A Nightmare On Elm Street. The characters are allowed to "share" dreams, or occupy the same dream at the same time. The mind is an infinite playground where alternate realities spin endlessly from the target's subconscious. People and ideas appear as "projections". The protagonists must go about there business with stealth for fear of alerting the subconscious of their presence, as the minds "defense mechanisms" will automatically kick in. The action scenes show the influence of video games like Grand Theft Auto and Call of Duty. The dream world is almost entirely interactive. Things can be used, accessed and navigated. The film is like a Mission Impossible episode, with the "dream team" operating in dreamland as opposed the real world. Nolan employs start of the art effects to visualize the dream world. Instead of creating a sensory experience that takes place in an obvious fantasy land, Nolan grounds everything in the familiar. The action takes place within the confines of familiar cities, but the architecture and structures themselves seem to be alive. They can be made to conform to the will of the "architect", who uses the subconscious as a canvas. The buildings and cityscapes of Inception are like abstract art, constantly in flux and changing at will. The effect is seamless and totally convincing. All things are possible in this world, but the terrestrial setting makes everything seem all the more "real". The fight scenes in Nolan's Batman films were hindered by frenetic cutting and frustrating camerawork that conspired to obscure the action. With Inception, Nolan has become more sure handed. The shootouts and chases move fast, but are coherent and pulse with spontaneity. There is an ambush that occurs in Fischers. Subconscious that combines the mayhem of Micheal bay with the deliberate staging of Micheal Mann. It's quick and compact, but visceral. There is also a fight scene that might very likely reinvent the concept of action sequences much like "bullet time" did in The Matrix. Leonardo Dicaprio is fast becoming the "go to" guy for these types of roles, combing fierce intensity with a certain vulnerability. Cobb isn't all that different from Marshal Edward Daniels in Shutter Island, and Inception shares more than a few similarities to Martin Scorcese's psychological thriller. Leo's head strong performance cuts a clear path through the subterfuge established by both films, leaving a taught line of emotion for the viewer to grab onto. 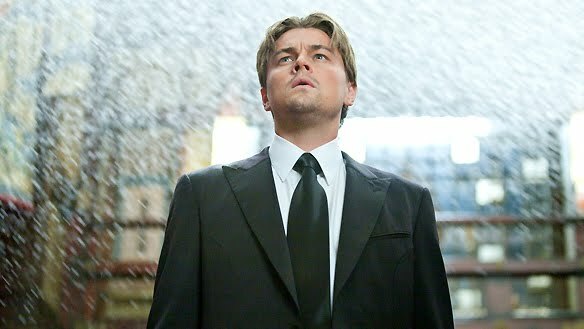 Inception is difficult to navigate, but somehow Dicaprio's performance helps to keep the audience grounded and focused. Inception is similar to many films that have come before it, yet as a whole it is different than all of them. There is a certain elusive and intangible beauty to it. It is meticulously constructed and fragile, but not fragile in the sense that it can't stand up to scrutiny. One is afraid to delve too deeply into the intricate blueprint that Nolan has constructed, as the possibilities are endless. He has created a cinematic playground that will keep audiences enthralled, baffled and coming back for more. Inception is remarkable and unlike anything you have ever seen.